This is a companion urn and is designed to hold the cremains of two people having a total combined body weight of up to 420 pounds prior to cremation. Availability: In Stock. Usually leaves our shipping department on the same or next business day. International orders will ship between 2-5 business days. 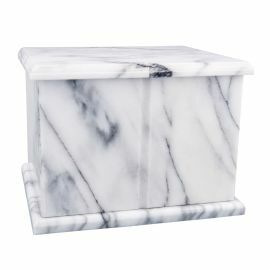 The Evermore White genuine stone companion cremation urn is crafted from natural-quarried marble in the shape of a rectangular cube with two separate compartments. Genuine stone cremation urns offer a level of beauty and distinction unlike any other material. Some of the most popular stones include marble, granite, and slate. Due to the very nature of genuine stone, please allow for variations in striation and color. These features make each urn unique and one-of-a-kind. Genuine stone urns can be kept at home, entombed in a cemetery columbarium niche or buried in an earth grave. Please note some cemetery regulations may require that this urn be placed inside of an urn vault prior to earth burial. 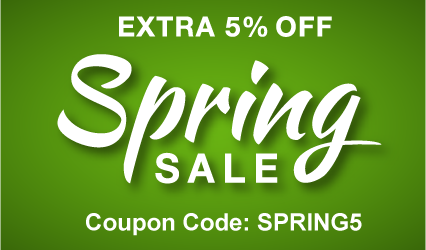 Copyright © 2019 UrnShopper.com, LLC. All rights reserved.